The Supreme Court on Tuesday dismissed a Petition filed by Essar Teleholdings Ltd and its promoters demanding a De novo Joint trial with the Accused in the main charge sheet or a sperate Trial by Magistrate based on the supplementary Charge sheet. Essar Teleholdings Ltd. had approached the Court challenging a judgment passed in September 2013 by the Special Judge, dismissing an application filed by Essar demanding a joint trial. The Bench, comprising Chief Justice H.L. Dattu, Justice A.K. Sikri and Justice R.F. Nariman observed that the Special Judge had give cogent reasons for not exercising his discretion to order a joint trial. The Special Judge had reasoned that the evidence in the main case have almost reached the end and as many as 146 witnesses in the main case and 71 witnesses in the second supplementary chargesheet have already been examined, clubbing the two cases together would result in the wastage of the effort already gone into and would lead to a failure of justice. Arguing for the Petitioners, Senior Counsel Harish Salve submitted that the as a lot of water had already flowed and a large number of witnesses have already been examined, the correct course of action in the present case should be to send the second supplementary chargesheet filed by the CBI to a Magistrate of the First Class to try the offences under Section 120B read with Section 420 of the Penal Code. Mr. Salve contended that under the Prevention of Corruption Act, the Special Judge can only try offences that arise under the said Act and not offences that arise under the Penal Code. He had further argued that even though section 4(3) of the Act permits the trial of Penal Code offences, the Special Judge may try an offence other than the ones specified in Section 3 only at the same trial. He stressed the words “same trial” and said that it is clear that short of a Penal Code offence being linked to a Prevention of Corruption Act offence and provided they are tried together, no offence under the Penal Code can be tried by the Special Judge set up under the Prevention of Corruption Act. Representing CBI, Senior Advocate Anand Grover had submitted that the Special Judge had appropriately exercised the discretion vested in the Court under Sections 220 and 223 of the Cr.P.C. He further argued that if there were to be a joint trial, all the accused would necessarily have to give their consent which was not the case here. As per the Court’s view, the Petitioners were attempting to raise submissions which had already been rejected by the Court earlier. It hence dismissed the petition, finding no infirmity in the judgment delivered by the Special Judge. The Supreme Court also reiterated the observations made by the Division Bench earlier, upholding the administrative order and the notification appointing Mr. O.P. Saini as the Special Judge to try all cases relating to 2G Spectrum scam. “This Court having held that the administrative order dated 15.3.2011 of the High court was valid, it is clear that even a Penal Code offence by itself – that is, such offence which is not to be tried with a Prevention of Corruption Act offence - would be within the Special Judge’s jurisdiction inasmuch as the administrative order of the High Court gives power to the Special Court to decide all offences pertaining to the 2G Scam,” it observed. CBI had registered an FIR in 2009, alleging offences under the Prevention of Corruption Act, 1988 and criminal conspiracy in respect of the grant of 122 UAS licenses in the year 2008 against various unknown Government officials, persons and companies. The Supreme Court in Centre for Public Interest Litigation v. Union of India, (2011) 1 2 SCC 560 had directed the CBI to investigate the FIR. Subsequently, in February, 2011, the Court had passed an order directing that no other Court shall pass any order which may in any manner impede the investigation being carried out by the CBI and Directorate of Enforcement. Pursuant to the order delivered in February, 2011, Delhi High Court passed an administrative order appointing Mr. O.P. Saini as Special Judge to undertake trial of cases relating to the 2G scam. The State Government also promulgated a notification, nominating Mr. O.P. as Special Judge to undertake trial of cases pertaining to the 2G scam. On 2.4.2011, and 25.4.2011, CBI filed a chargesheet and a first supplementary chargesheet against 12 accused persons for offences committed both under the Indian Penal Code and the Prevention of Corruption Act. Essar was not named or mentioned in these two chargesheets. However, separate offences came to the notice of the CBI while investigating the FIR and a second supplementary chargesheet naming Essar as an accused, alleging offences under Section 120B read with Section 420 IPC. This chargesheet did not contain any offences under the Prevention of Corruption Act. The chargesheet had stated that these charges were triable by a Magistrate of First Class but may be endorsed by any appropriate court as deemed fit. In December 2011, the Special Judge took cognizance of the second supplementary chargesheet, stating that there was enough incriminating material on record against the accused. Writ Petitions were filed by Essar, M/s Loop Telecom Limited and Mr. Vikash Saraf, challenging the order of taking cognizance passed by the Special Judge, CBI. They had prayed for the quashing of the Administrative order as well as the notification appointing Mr. O.P. Saini as Special Judge to inquire into and try all cases arising out of 2G Spectrum scam, which are otherwise exclusively inquired into and triable by a Magistrate under the relevant statutes. 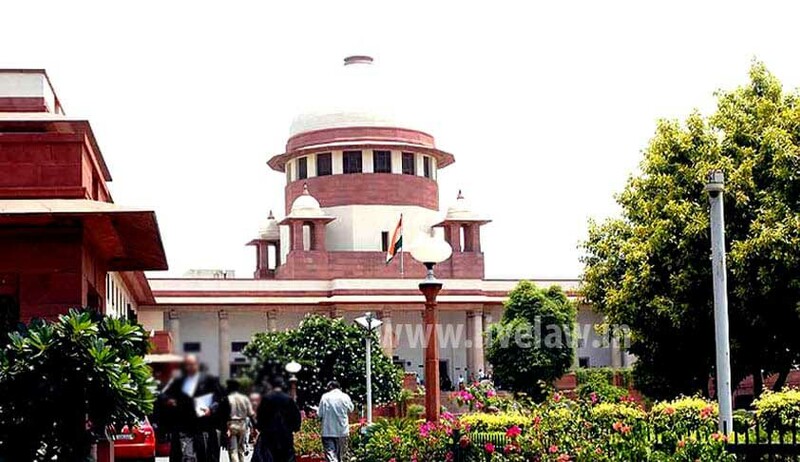 The Division Bench of the Apex Court had dismissed the Petitions in 2013, reasoning even though the Petitioners were accused of different offences under various sections of the IPC, they can be tried together with the other co-accused in the 2G scam case, as the offences were alleged to be committed in the course of 2G spectrum transactions. In the end I may add that it is not obligatory on the Court to hold a joint trial and provisions of these sections are only enabling provisions. An accused cannot insist with ulterior purpose or otherwise that he be tried as co-accused with other accused, that too in a different case. It is only a discretionary power and Court may allow it in a particular case if the interest of justice so demands to prevent miscarriage of justice. In the instant case, neither the facts and allegations are common, nor evidence is common nor the accused were acting with a commonality of purpose and, as such, there is no ground for holding a joint trial. I may also add that holding a joint trial at this stage may lead to miscarriage of justice. c) confuse or cause prejudice to the accused, who had taken part only in some minor offence. You may read more news about the 2G spectrum case here.